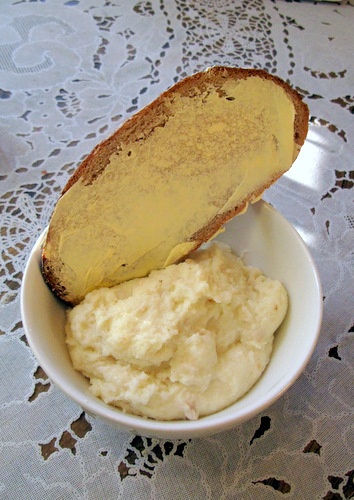 This dish is not necessarily native to Russia, but is definitely a favorite in most Eastern European countries. It usually eaten for breakfast in porridge form. 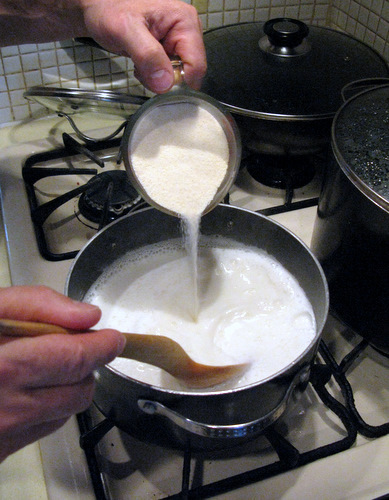 The grain is commonly known as farina or “Cream of Wheat” in the United States. 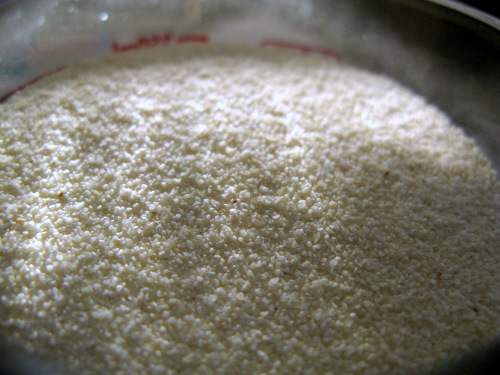 It is a coarse whitish-yellow grain that can be found in most ethnic food stores. 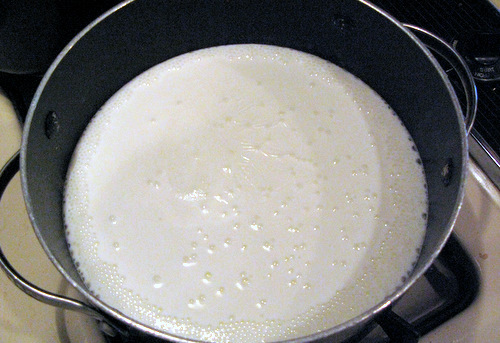 Slowly pour the manka into the boiling milk stirring vigorously. 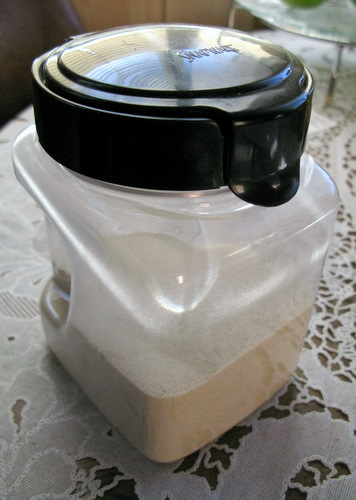 This prevents the manka from forming into clumps. 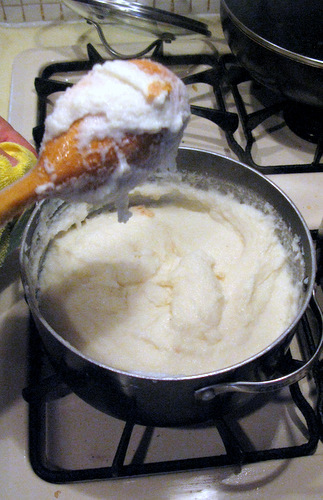 Keep stirring until the porridge thickens, add less manka for thinner consistency. Add the sugar and salt, adjust to taste. Serve hot with toast and hard boiled eggs for breakfast or with jam / fresh berries. And I like to cook it with cacao. It’s great!